Lewis Grizzard was born on August 5, 1914, in Snellville, Georgia. He enlisted in the U.S. Army on June 5, 1942, and after completing basic training and infantry training, he served as an infantryman with the 110th Infantry Regiment of the 28th Infantry Division. Sgt Grizzard deployed with his unit to Europe in October 1943, and served in the campaigns of Normandy, Northern France, the Rhineland, the Ardennes, and Central Europe before returning to the United States in early 1945. 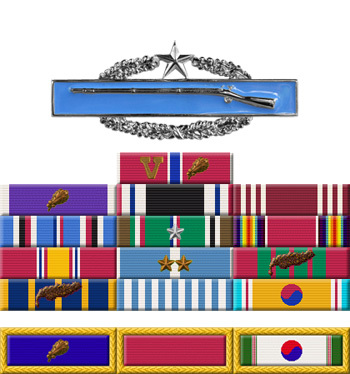 He was commissioned a 2d Lt of Infantry in the U.S. Army on April 19, 1945, and served as a Platoon Leader with Company K, 110th Infantry Regiment at Camp Shelby, Mississippi, from April to October 1945. 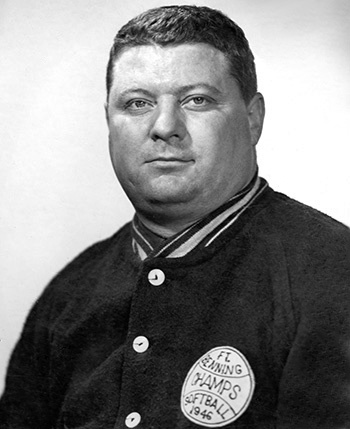 His next assignment was as a Motor Officer at Fort Benning, Georgia, from October 1945 to August 1946, followed by service as Athletic Director at Fort Benning from August to November 1946. Lt Grizzard served as Commander of Company B, 756th Armored Tank Battalion at Fort Benning from November 1946 to February 1947, and then served as a Personnel Officer, Commanding Officer of a Support Company, and Post Executive Officer at Fort McPherson, Georgia, from February to September 1947. His next assignment was as a Police and Prison Officer with the 25th Infantry Regiment at Fort Benning from September 1947 to January 1948, followed by service as Assistant Post Athletic and Recreation Officer at Fort Benning from January to April 1948. He served as a Platoon Leader with the 325th Infantry Regiment at Fort Benning from April to June 1948, and then served as a Prison Officer at Fort Benning from June to July 1948. Lt Grizzard next served as a Platoon Leader and Post Athletic and Recreation Officer at Camp Chaffee, Arkansas, from September 1948 to December 1949, followed by service as a Supply Officer at Fort Myer, Virginia, from January to September 1950. He then deployed to Korea with Company M, 8th Cavalry Regiment, serving as a Platoon Leader from October 1950 until he was captured and taken as a Prisoner of War on November 5, 1950. He managed to escape and made it back to Allied lines on November 21, 1950. Capt Grizzard was briefly hospitalized to recover from his injuries, and then served as a Tactics Instructor in Florida from May to December 1951, followed by service as Assistant S-3 and then as a Battalion Commander at Fort Benning from December 1951 until he left active duty on April 1, 1953. Lewis Grizzard died on August 12, 1970, and was buried at the Zoar United Methodist Church Cemetery in Centerville, Georgia. His son, Lewis M. Grizzard, Jr. (1946-1994), was a famous writer and humorist.